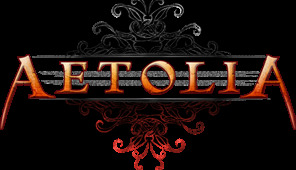 There are a range of races players may choose to play as in Aetolia, with each race offering unique cosmetic and minor utility benefits to your gameplay. For a new player, your racial choice will be an aesthetic one - the statistics which determine how much mana, health or damage you have are determined by something else called statpacks, so feel free to pick a race which appeals to you visually or creatively! All novices can change races and statpacks as many times as they wish before they reach level 30. To pick a new race, merely REINCARNATE INTO <statpack> <race> - for example, REINCARNATE INTO STABLE IMP. After level 30, you only have one more free reincarnation, so feel free to experiment before making your final choice! Once you reach level 99, you ascend your mortal race and become a mightier being, known as a Tekal. Tekal are stronger and more powerful than the normal races, and can eventually ascend into the final, "end game" races of Azudim, Yeleni and Idreth, based on what forces they embrace in the process (Azudim celebrate death, Yeleni celebrate life, and Idreth reforge their very bodies, outside of any divine power). HELP RACES: View all of the races and their utility skills at a glance. HELP RACESKILLS: Read more about each individual skill. HELP REINCARNATE: Reincarnate into a new race. STATPACKS: View all of the statpack choices available. HELP TEKAL: Information about the transcendent race of Tekal. Statpacks offer a very versatile way to select a variety of attributes, known as stats for short. Each attribute augments one aspect of your gameplay, letting your tailor your character to your preferred gameplay: you can make a character who hits quickly or does a lot of damage, or make a "tanky" character who withstands a lot of damage. Each attribute has a number, showing your relative power in that category. 10-12 is an average number for a new player, with 14-16 being an exceptional number for a particular attribute. Strength (STR): This stat increases your damage done with most physical attacks, including many weapon attacks. Dexterity (DEX): This stat increases your damage done with some specific attacks, as well as increasing the rate at which you dodge blows. Intellect (INT): This stat increases your mana pool and the damage you do with most magical attacks. Constitution (CON): This stat increases your health pool. To learn more about which statpacks are best for your class of choice, check out the Class Guides section of the Newbie Forums! As with races, you are allowed to charge your statpack as many times as you like before level 30 - simply REINCARNATE INTO <statpack> <race>. It's highly suggested that you play around with statpacks before leaving the newbie areas, to ensure that you get a feeling for what stats you like highlighting in your character's build. The Atavians are a humanoid race, with lightweight bones and magnificent, feathered wings, descended from an ancient, bird-like people known as the Atav. They are visually very similar to humans, coming in all shapes and sizes, and their wings are seen in a wide range of hues, with the most traditional coloration being ivory or brilliant white. The racial home of the Atavians is the Aerie, a remote village tucked away in the Vashnar mountain range. -- Level 1: Flight. Using their powerful wings, Atavians can fly up from the ground when outdoors to access a sky-version of each room. - Level 25: Hover. Hovering grants a defense akin to the levitation defense, preventing an Atavian from falling into certain types of pits. - Level 50: Air Stability. This skill passively stops an Atavian from being blown around while flying. - Level 75: Blood Regeneration. This passively regenerates blood levels, a part of health that vampires can drain and, more importantly, a resource vampires need to monitor their own use of. This skill can be useful for Atavians who choose the nightstalker class. Atavian have a diverse range of roleplay choices, with players able to highlight their racial feature of wings and flight in many ways, such as through emotes emphasizing the movement of their wings, or through stories about their love of flying. Atavian are amalgamated very heavily into modern Aetolian society, opening the door to virtually any backstory you may desire, although some players enjoy emphasizing their connection to the race's home in Aerie. Here are some pieces of artwork, both from Aetolia and from player-submitted art contests, to help you visualize what an Atavian looks like. Staunch and stout, the burly dwarves are a nomadic people, with their ancestral home lost in time before memory. Today, dwarves can be found in all corners of Aetolia, with members of the race favoring every sort of lifestyle from a solitary monk's meager means to a rowdy, pub-crawling soldier's fortune. Several racial villages have been established across the land, such as Khauskin and Tainhelm, with the communities springing up around lucrative mining deposits. Physically, Dwarves tend to be short and strong, with a heavier, stocky build and a penchant for sporting luxurious beards and mustaches. - Level 1: Alcohol Resistance. Dwarves are innately the proudest, strongest drinkers in Aetolia, able to drink more alcohol than other races before they experience its dizzying effects. - Level 25: Improved Forging. A race with a love for fine craftsmanship, dwarves can produce higher quality forged weapons, making this an ideal skill for someone interested in being a merchant. Some Dwarves consider becoming Carnifex or Templar knights, because of this ability to produce fine weapons and armor. - Level 50: Endurance Regeneration.This skill passively boosts the rate at which a Dwarf regains endurance, allowing them to continue hunting and fighting for longer periods of time before they must stop to rest. - Level 75: Rock Harvesting.Using their racial connection to the earth, Dwarves may pluck stones from the ground which can be turned into ink (used for making tattoos, painting golems and marking Luminary shields) by someone with the rock crushing skill. Like all races, Dwarves come in a range of personality types, with each character having their own unique quirks and interests. If you choose to play a Dwarf, you have some heavy racial features to draw on to help you when crafting your character's roleplay: Dwarves have a reputation for loving alcohol, being keen on forging and other types of crafts, and the race also has a strong connection to the earth and rocky parts of the land. You can highlight these traits to create a character who is naturally drawn by his love of forging to the Templar class, or one who follows his taste for fine ales up to Spinesreach, or even one who embraces the earth fully by learning the ways of the Teradrim. A dwarf can be a good choice for a comical character, due to their short height and tendencies for booze, or they can be an excellent option for a stoic, stalwart character who is adamant in their beliefs. Here are some pieces of artwork, both from Aetolia and from player-submitted art contests, to help you visualize what a Dwarf looks like. Bat-like humanoids, the Grecht hail from an Empire in the distant Dehkay Plateau far to the north of mainland Sapience, although small splinter communities exist elsewhere, such as the village of Arget Massai atop the Siroccian mountains. While Aetolia is still learning about this reclusive race, recent envoys have revealed that the main Empire adheres to a militaristic caste system, overseen by an Exarch. Physically, Grecht tend to feature large ears, angular features and have dark skin, ranging from pure black to greys and browns, with leathery flaps connecting their arms to their bodies, which give them a limited, soaring sort of flight. - Level 1: Soaring. A variation on actual flying, this ability launches a Grecht into a sky version of a room; after a short time he or she then automatically lands back on the ground. - Level 25: Air Stability.This passive skill stops a Grecht from being blown into another room while flying. - Level 50: Nightsight.This skill lets a Grecht see during the night, allowing him or her to look into adjacent rooms even when dark. - Level 75: Lunar Regeneration.This skill passively regenerates a Grecht's health and mana when the moon is in the sky. HELP ASTRONOMY details more about the movements of the moon. The Grecht race is rich with roleplay potential, with an entire plateau claimed as their racial home. A range of backstories and character types can be pinned to these origins - from warriors to priests to rebels to hunters, nearly all character concepts can fit well with the Grecht race. The physical details, such as the ability to soar, open the door to fun physical roleplay ideas and give players lots of ambient emote potential. Here are some pieces of artwork from Aetolia to help you visualize what a Grecht looks like. Hailing from the mist-shrouded swamps on the island of Ulangi, the Grook are a frog-like race, quiet and mysterious in their ways. They typically lack overt physical strength, gravitating as a whole towards the mystical and magical arts instead, with wise prophets and secretive scholars famed among their ranks. Physically, they are semi-amphibious, with green or blue skin, large eyes and wide mouths. Most have webbed fingers and toes and demonstrate an affinity for watery environments. - Level 1: Swimming.All Grooks know how to swim with ease through bodies of water. - Level 25: Underwater Breath.Grooks can swim in deep water areas without needing any special defences. - Level 50: Water Regeneration.In water environments, Grooks passively regenerate health and mana. - Level 75: Fire Retardant.This skill will automatically cause any flames to cease after a short time, should a Grook catch fire. Grooks are typically known as the more reclusive, scholarly of Aetolian races, with weaker physical forms and a cultural emphasis on knowledge, learning, mysticism and magic. Their homeland, Ulangi, is home to the famous sage Oorangu, who oversees meditations and studies in a quiet village in the depths of the island's swamps. A typical Grook would be an ideal match for a guild focused on the more arcane arts, such as the scholarly Ascendril or Sciomancer mages, or the science-driven Cabal, although some Grook also feel that the serenity of the Sentaari monks resonates with them, while some find that they are a semi-rebellious "frog out of water" in their homeland and are drawn, instead, to the more physical arts, though this tends to be rare among the race. Here are some pieces of artwork, both from Aetolia and from player-submitted art contests, to help you visualize what a Grook looks like. A mighty people, the insectoid Horkval are perhaps the most unique of Aetolia's races, with bodies sheathed in a chitinous exoskeleton as strong as armor. Hailing from tight-knit hives scattered throughout the land, the most prominent of which can be found on the island of Ulangi, the race is known for their fierce loyalty and stalwart determination, trained from birth to serve their hive, although independent warriors are known to leave their ranks to seek training in the outside world. Physically, the Horkval come in a range of suited, most ideal for physical combat, be that small and agile or bulky and strong, with their bodies reminiscent of oversized, humanoid insects, complete with hard shells, antennae and sometimes claws or feelers. - Level 1: Clicking. A skill unique to the Horkval, this lets Horkval communicate with other members of their race through a unique language of clicking. - Level 25: Leap. This skill allows a Horkval to leap past obstacles. - Level 50: Health Regeneration.A Horkval will passively regenerate health. - Level 75: Listening. This skill allows a Horkval to eavesdrop on an adjacent location, listening to any spoken conversations. Horkval have an incredibly rich potential for roleplay, both through the physical features of their race and through the culture established in their lore - players have been known to create their own versions of hives, explore concepts of caste systems, and show incredible creativity with the diversity of form and features an insectoid race allows. Because the race is so alien compared to the more typical races, a creative roleplayer has room to consider a range of unique questions and challenges, turning the ideas of even basic notions like touch and taste on their head. Traditionally, Horkval tend to gravitate towards the more physical arts, making them ideal for a role such as a Sentinel hunter, a Daru monk and even a vampiric warrior, while their culture's rigid hierarchy and tight-knit loyalty make them a natural fit in militaristic guilds like the Carnifex or Templar knights. Here are some pieces of artwork, both from Aetolia and from player-submitted art contests, to help you visualize what a Horkval looks like. The most common and proliferous of Aetolia's races, Humans can be found in all corners of Sapience, taking on all walks of life. Strong, weak, good, evil, warriors, scholars, priests and profane alike, Humans are the most diverse and varied of all the races, with their sole unifying trait being, perhaps, their remarkable spread and influence over the entire land - found in every city and guild, with a remarkable range of attitudes and traits, Humans have helped shape the history of the land from its earliest days and remain a strong influence in the modern age. - Level 1: Improved Meditation. Humans meditate more efficiently than other races, gaining back willpower and mana more quickly. - Level 25: Improved Sleep. When sleeping, a human regains health and endurance faster than other races. - Level 50: Selfishness. Humans learn the survival skill of selfishness for free, a defensive skill which prevents the player from giving away items to others. - Level 75: Blood Reserves. Humans have higher blood reserves than other races, giving them a small boost when fighting against a vampire - or as one. A Human backstory can encompass nearly anything within Aetolia's lore - Human settlements can be found all across the land, from modest farming communities to remote villages to sprawling cities, giving a player a diverse range of choices when crafting a Human character. Similarly, there are no common personality traits or physical features, giving players a broad canvas to work with when making a Human. Here are some pieces of artwork, both from Aetolia and from player-submitted art contests, to help you visualize what a Human looks like. The mischievous Imps are a race renowned for their playfulness and cunning, rumoured to be created by the Trickster Goddess Khepri out of pure laughter. While Imps are often seen as a silly, childlike race, their mirth can have a cutting edge to it, with many Imps being masters at manipulation and trickery, wizards with coins and merchantry, or even evil, sadistic madmen, revelling in dark, twisted arts. Long at war against the diminutive Pixies, the Imps have, in recent years, finally conquered their enemies, setting up an independent kingdom named New Sehal, which they jealously guard from against intrusion from the larger races, allowing only the youngest and weakest mortals entry. Physically, Imps tend to be quite small, usually between two to four feet tall, and often have slender tails, small horns and vestigial, ineffective wings. - Level 1: Tumble.Imps are so nimble and small they may adeptly tumble past blockades and out of tricky situations. - Level 25: Willpower Regeneration. Imps passively regenerate willpower at a faster rate than other races. - Level 50: Stalking. During the night, Imps may use stalking to hide their movements, making their exit from a room concealed to most observers. - Level 75: Heatsight. smps can call upon their heatsight, using their keen vision to see even hidden people in a room when checking WHO HERE. Imps can be a very fun race to play, with the role naturally suiting a trickster or comedic type of character. Their small stature and racial history lends itself well to a playful role, although the darker side of an Imp's mirth offers just as much potential to explore, with fighters or politicians drawing upon the natural cunning to enhance their character's outlook - some players even choose to meld these potential aspects of the Impish nature, with childlike playfulness and deft manipulation two sides of the same coin. Here are some pieces of artwork, both from Aetolia and from player-submitted art contests, to help you visualize what an Imp looks like. The aquatic Kelki are a graceful race, created jointly by the Goddesses Slyphe and Lleis in a meld of land and sea. The race has an affinity for water, especially the oceans, with their racial home in the ruined city of Kelsys - destroyed in recent years by the monstrous Kerrithrim from the deeps - but they do just as well on land, with the race built for adaptability. Quick and often very intelligent, Kelki make natural tinkerers, usually driven by an innate desire to figure out how things work, and can often be found pulling things apart just to see how they fit together. Physically, Kelki tend to be graceful and willowy, with greenish or blue skin and aquatic traits, such as webbed fingers, tentacles for hair or fishlike features. - Level 1: Swimming. Kelki have a natural affinity for the water, and innately can swim with ease. - Level 25: Underwater Breathing. Kelki are able to swim in the deepest water without needing special defences to help them breathe. - Level 50: Water Regeneration. While in watery environments, Kelki passively regenerate health and mana. - Level 75: Fast Swimmer. Kelki naturally swim twice as fast through watery rooms. With their affinity to water and their connection to Slyphe and Lleis, Kelki make natural choices for a citizen of Enorian or Duiran, although the race can be found scattered across all of the cities and guilds. Although Kelki are not typically viewed as physically strong, many are agile, quick and clever, making them ideal for a range of roles. Their tendency for sharp thinking and a cultural interest in studying how things work lead many towards the inquisitive lifestyle of an Ascendril or a Cabalist, while their flexible, atheletic forms make them ideal for the life of hunter or even a nimble assassin like a Syssin. The physical characteristics of the race and their link to the seas give players fun options to explore when describing the character or crafting a backstory. Here are some pieces of artwork, both from Aetolia and from player-submitted art contests, to help you visualize what a Kelki looks like. The industrious Mhun hail from the vast mines of Moghedu, an immense network of caverns stretching between the Mhojave Desert and the underground tunnels of Azdun. Long at odds with their neighbors, the brutal Goblin slavers, the average Mhun knows a hard life, fighting wars and forced by their racial leaders to toil in the mines, whilst evading attacks from the bloodthirsty vampires of nearby Bloodloch who have long seen the Mhun's home as an easy buffet for their insatiable hungers. Still, despite - or perhaps because of - these hardships, the Mhun prove to be resilient and persistent people, surviving against harsh odds and holding heavy loyalty to each other. Physically, Mhun are very similar to Humans, although they tend to be leaner and smaller, their movements more agile and lithe, and their skin pale, tanning easily to dusky tones when above-ground. - Level 1: Dig. Mhun may dig in the soil, unearthing buried items, without need of a shovel. - Level 25: Underground Regeneration. While in underground environments, Mhuns will passively regenerate health and mana. - Level 50: Blood Regeneration. This increases the rate at which a Mhun regenerates blood levels, which is particularly helpful to vampires. - Level 75: Rock Crush. Mhuns can crush rocks into inks, used for tattoos and certain guild skills. Rocks are harvested by Dwarves. The Mhun's racial heritage of struggles and oppression give players lots of freedom to play a character who has been disenfranchised or has fought against the odds. Humble origins, scrappy pluck or even browbeaten submission all work great with the Mhun background - many "good" organizations make an effort to protect the low-ranked Mhuns from oppression and attack, so a Mhun finding his way to Enorian is a natural fit. Conversely, Mhuns also make an intriguing choice for a vampire character, and some players choose to play a Mhun who has fallen into temptation or embraced the role of oppressed becoming the oppressor, turning to nearby Bloodloch for a home. Mhuns also offer a good fit for anyone interested in making a character who is interested in geology, be that a Teradrim embracing the Earth, or a jewelcrafter entranced by gems. Here are some pieces of artwork, both from Aetolia and from player-submitted art contests, to help you visualize what a Mhun looks like. Rumoured to be torn from the mighty cats of the jungles, the tiger-like Rajamala hail from the village of Saluria in the midst of the vast Itzatl Rainforest. A powerful mix of lithe forms and keen intellect, the race has a rich heritage, with ancient temples found in the depths of the jungles surrounding their homeland and songs and mythologies about their ancient heroes told across the land. Physically, Rajamala are humanoid in shape with tiger-like details, covered in a coat of smooth, short fur, with distinctly feline features. Rajamala are typically orange or red with black stripes, but variations in color are common. - Level 1: Grooming. Using grooming, Rajamala are able to cleanse themselves of any lingering stench they may pick up in their travels, as an alternative to scrubbing in water. - Level 25: Improved Sleep.When sleeping, the cat-like Rajamala recover health and endurance at a far quicker rate than most races. - Level 50: Dash. Lithe and quick, Rajamala can dash through multiple rooms in a straight line in a single movement. - Level 75: Scent. Using their keen senses, the Rajamala can scent at the wind, detecting all others within their local area. Rajamala offers a wide array of roleplay choices, with the physical form itself rich with potential - cat-like and quick, the race are natural hunters, making them a natural choice for a role such as a lycanthrope or Sentinel or a member of the forested city of Duiran, similar to their rainforest homeland. Culture and art flourish in the jungles alongside hunting, with mythology and lore passed down through the generations, making scholars just as common as warriors for the race, with priests - both those championing the light and cultists worshiping shadows - playing prominent roles in the race's history. Rajamala can be found in all guilds, cities and walks of life, suited for a range of roles and outlooks. The Goddess Omei, in particular, holds tight ties with the Rajamala people, Her own history entwined with theirs, and many flock to Her patronage. Here are some pieces of artwork, both from Aetolia and from player-submitted art contests, to help you visualize what a Rajamala looks like. Infamous for their tempers and berserking rages, Trolls are a sturdy, stalwart race, famed for their ability in battle. While it is rare to find a master scholar among the Trolls, the race excels in physical combat, augmenting their struggles with mastering magic by embracing a deep appreciation for weaponry and sheer strength. Originally created by the God Arion, Trolls are known for their loyalty, and can make fierce, sometime stubborn allies, and rarely abandon a goal once they have decided to achieve it. Trolls have several villages scattered across Sapience, with their main kingdom found in the ruins of Hashan, while a small enclave exists up north in Stormcaller Crag, the seat of the God Maghak who took the Troll king's body as a vessel for His creation. Physically, they are a large race with craggy features and large teeth, tending towards slender, yet muscular, builds, while their skin ranges from ruddy-orange to light green in hue. - Level 1: Satiation. Masters of their metabolisms, Trolls can SATIATE before consuming a meal to receive more nourishment from their food, ensuring they need to eat less, at more infrequent intervals. - Level 25: Gripping. Trolls can naturally GRIP their weapons, ensuring they will not be knocked out of their hands, even if their limbs are broken. - Level 50: Health Regeneration. Trolls will passively regenerate health. - Level 75: Natural Clotting. This skill passively clots bleeding, stacking alongside the moss tattoo. Trolls can be a very fun race to play, either as a serious, stern warrior, devoted to combat, or as a more comical character type. The race's tendency towards low intelligence opens the door to set up a range of amusing situations, with Trolls even being known for odd - sometimes barely intelligible - speech structures, which makes them ideal for a burly, muscle-bound sort of comic relief. Conversely, a Troll can make an excellent stoic character, stalwart and stubborn in single-minded pursuit of his or her goals. Their predisposition for physical combat makes them ideal for a weapon-user, like a Carnifex, Templar, Teradrim, or Luminary, and their fame for strong constitutions make them ideal for a sheerly physical fighter, such as a lycanthrope, Daru or Sentaari monk. Here are some pieces of artwork, both from Aetolia and from player-submitted art contests, to help you visualize what a Troll looks like. Graceful and willowy, the forest-dwelling Tsol'aa are a patient, quiet people, generally inclined to avoid the hustle and conflict which often permeates the world of Aetolia. In recent history, however, the peaceful, reclusive race has found itself playing a more direct role, forced to abandon their racial home in the Aalen forest to flee a deadly, toxic sludge dropped by the brutal Dreikathi invaders. Evacuated by a band of Duiran citizens, many refugees have become integrated into a new forest, calling it home, while others have taken the chance to venture into the world at large, joining the handful already living in the various cities of the realm. Physically, the race is lithe and slender, with angular, delicate features; indeed, the Tsol'aa are famed for their grace and beauty almost as much as they are known for their affinity for nature. - Level 1: Forage. All Tsol'aa innately know how to make the most of their surroundings and are instinctively able to FORAGE for sustenance in a forest location. - Level 25: Improved Harvesting. Due to their roots in nature, Tsol'aa can harvest more herbs per day than other races. - Level 50: Hide. A Tsol'aa may sink back into the shadows and undergrowth, concealing themselves from casual observation. - Level 75: Forest Regeneration. While inside a forest location, a Tsol'aa regenerates health and mana at a constant rate. Due to their natural affinity to the forests, Tsol'aa make an ideal race for someone interested in the guilds of Duiran, particularly the Shamans, Bahkatu and Sentinels. The evacuation to Duiran makes a natural backstory for someone interested in playing a Tsol'aa who grew up in the Heartwood, although the race has always had members who have sought homes in the cities. Characters have both embraced and rejected their forestal origins, with some displaying deep ties to the land, while other, outcast Tsol'aa have rebelled against their heritage and instead sought to corrupt nature to strike at the society which shunned them, turning to classes like the Indorani to exterminate plantlife itself. Here are some pieces of artwork, both from Aetolia and from player-submitted art contests, to help you visualize what a Tsol'aa looks like. The lizard-like Xoran are a sturdy, adaptable race, with heavy muscles and quick wits suiting them for a versatile range of tasks. An offshoot of the original lizardfolk who can still be found in modern day Xoral, the Xorani share many traits with their racial cousins in the deserts: cold-blooded and drawn to warmer climates, the Xorani have taken their taste for heat to a transcendent level, evolving over generations to be able to breathe fire itself. Physically, they are lizard-like in shape, with bodies covered in scales, pronounced snouts and tails; individual characters vary dramatically, with a range of colors, shapes and sizes found among members of the race. - Level 1: Nightsight. The keen eyesight of the Xorani allow them to see in the night, making them able to glance into adjacent rooms even during darkness. - Level 25: Endurance Regeneration. Xorani passively regenerate endurance at a faster rate than other races. - Level 50: Fire Breathing. The incredible bodies of the Xorani are capable of breathing fire, allowing them to melt icewalls and set forges - and even other players - alight. - Level 75: Chameleon. A Xoran may mimic the adaptable chameleon lizard and mask himself with another player's name to fool those who see him or her via the WHO command. A versatile and adaptable people, Xorani can be found in all cities and guilds in Sapience. Their preference for warm climates makes the balmy weather of Enorian and Duiran a delight, while their ties to fire make Bloodloch's lava pools a natural draw, but the libraries of Spinesreach still have their own draw for the serious scholars of the race. Playing a Xoran opens the door to very creative roleplaying, with many players enjoying the challenge of imagining how a lizard-like character would act - scales, tails, teeth and all. Here are some pieces of artwork, both from Aetolia and from player-submitted art contests, to help you visualize what a Xoran looks like.